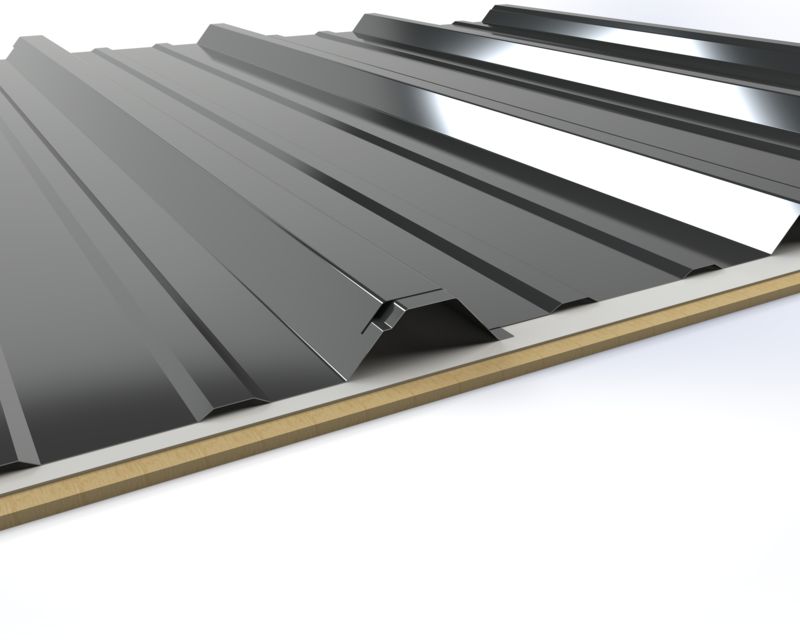 Bridger Steel's Purlin Bearing Rib (PBR) Panel is an exposed fastener R panel suitable for residential, commercial and agricultural applications. It can be used in both interior and exterior applications. It features a 5 degree overbend on overlap combined with an anti-siphon groove on underlap for superior weather tightness. This rest area uses Dark Gray PBR and Corrugated siding with Retro Red Soffit. This rest area uses Dark Gray PBR and Retro Red Soffit. This rest area uses Dark Gray PBR and Retro Red Soffit and Trim. Suitable for low pitch conditions. Underlayment: High Temp Ice & Water shown. For use at eaves and valleys.